A wattle (Acacia) shrub begins to flower. Each flower is about 1 cm (0.4 inches) across. I believe it’s a Heath Wattle a.k.a. 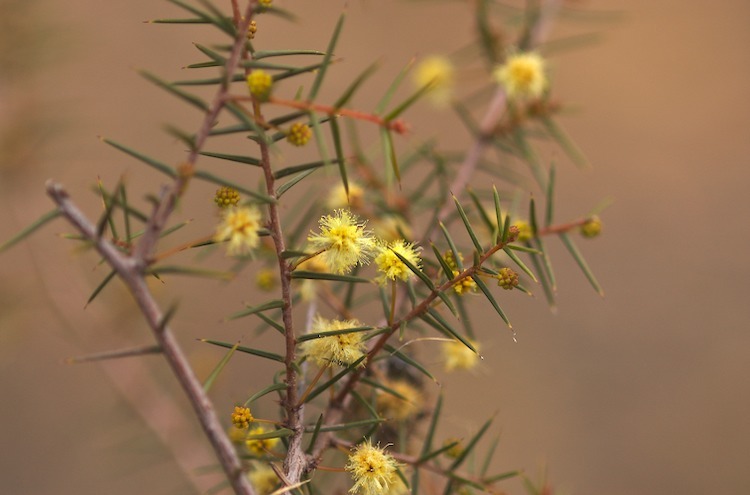 Prickly Moses (Acacia brownii).